Like every high school student looking for a good college, Theo Mackey has his gimmick that will hopefully make him stand out. As the captain of his school’s well-respected dive team, he hopes that his athletic status will help him get recruited into top-tier Division I universities. But past his shining exterior, Theo wrestles with his grief over the loss of his parents in separate tragic accidents. Most of all, he wonders if he could have prevented their deaths. Grappling through schoolwork, romance, and a competitive sport, Theo Mackey must learn to face his demons, both inwardly and outwardly. Probably what stands out to readers the most is the way in which Theo deals with his parents’ deaths. While it is common for individuals to feel responsible for an untimely demise, Theo’s emotions are much stronger than that: he believes that his parents’ deaths were both completely his fault and preventable. The way he must learn to move on is absolutely the reason why this book ranks higher than most; it deals with grief and loss in a genre that generally focuses more on romance and action and presents it in a manner that is easily identifiable for other readers. 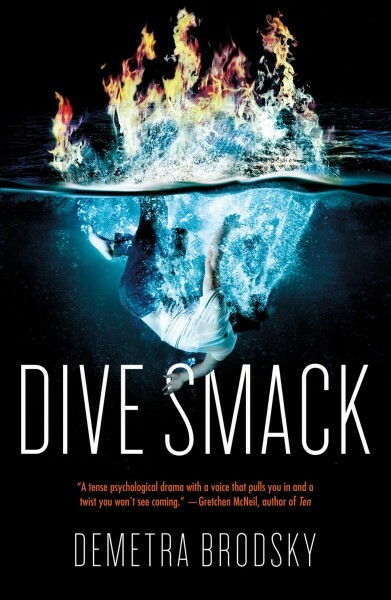 Dive Smack is a fresh slap across the face and a vision into the possibilities of the YA genre. 4/5 stars.